Hello new friends! 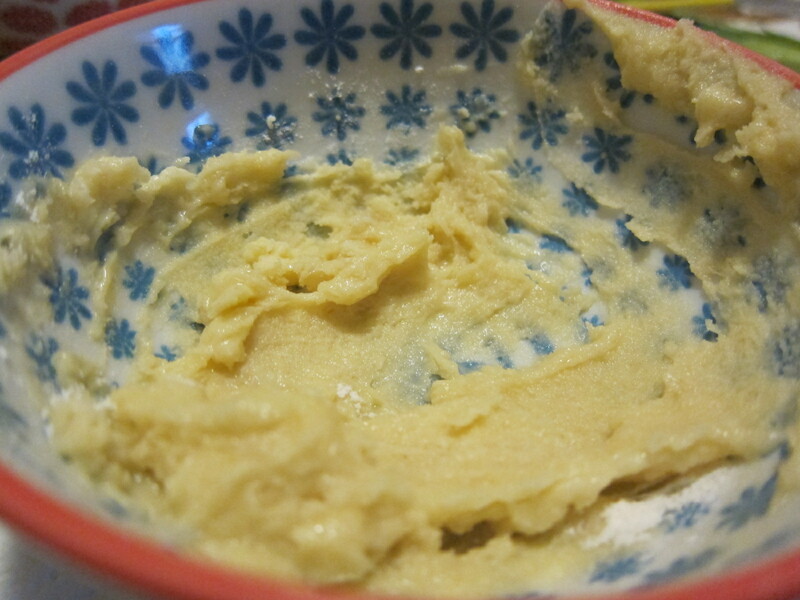 I am incredibly excited to be crafting this first recipe post right now. I have literally been cooking for the last 4 1/2 hours, and am finally sitting with a glass of delightful French wine, in front of my laptop, ready to tell you about my first experience with vegetarianizing Julia Child’s cookbook. 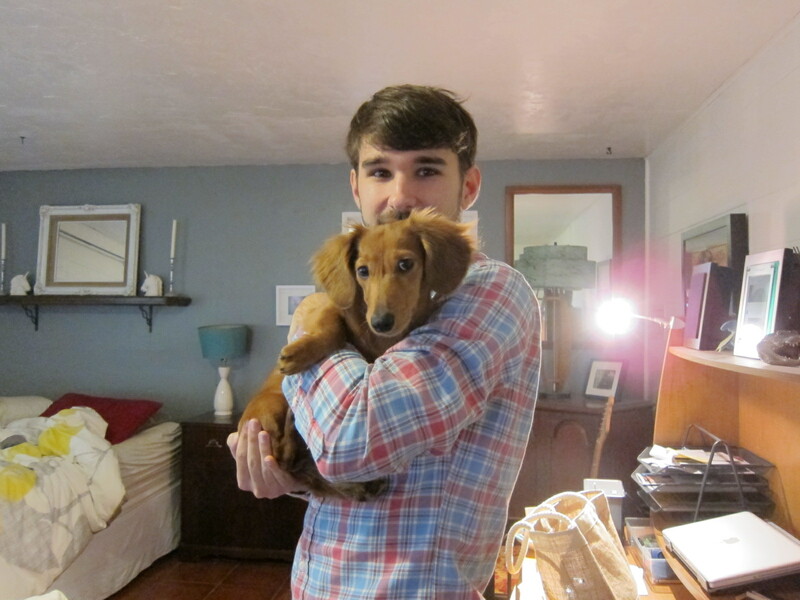 For starters, here is my sous chef and I, right before we delved into the giant missive that is Mastering the Art of French Cooking. It was an absolutely beautiful afternoon. I spent the morning spending an embarrassing amount of money at Anthropologie/Sur La Table/Whole Foods. In my defense, I was super excited for this first post, so I went a little overboard. SO SUE ME! It was totally worth it. 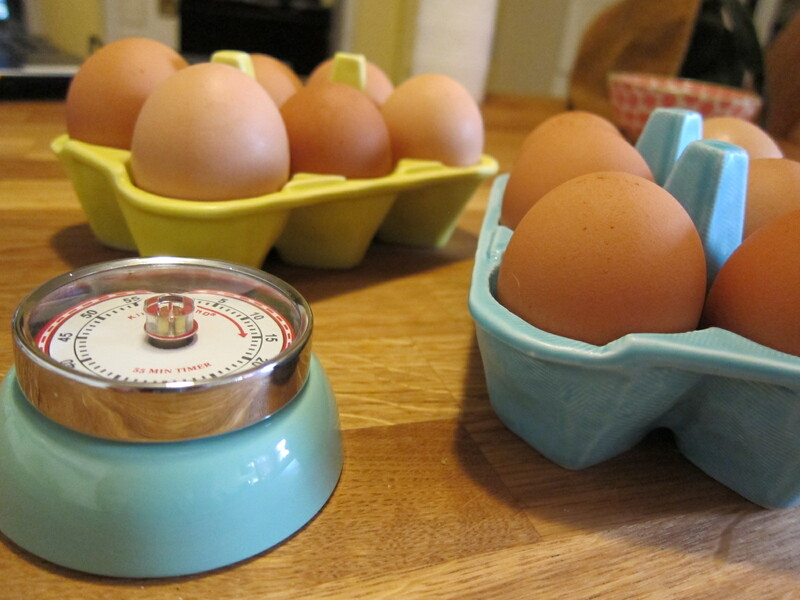 I mean, ceramic egg cartons, HELLO! This discovery of Julia’s views on the veg*n’s lifestyle, coupled with the reality of the insane meatiness/outdatedness of the majority of her dishes, lead me to rethink the original rules I set for myself. I originally said that I would try to change the recipes as little as possible, but in some sections, that’s just not going to be possible. I will absolutely do my best to retain the spirit of the dish, while creating something that a vegetarian would actually want to EAT. Additionally, I discovered that a bunch of recipes are actually already vegetarian, so for those, I will attempt to veganize them. Sometimes I will fail, but I’ll always take you along for the ride and show you my mistakes, so that we can learn together. They say Julia Child was fearless, and I admire that in an artist. 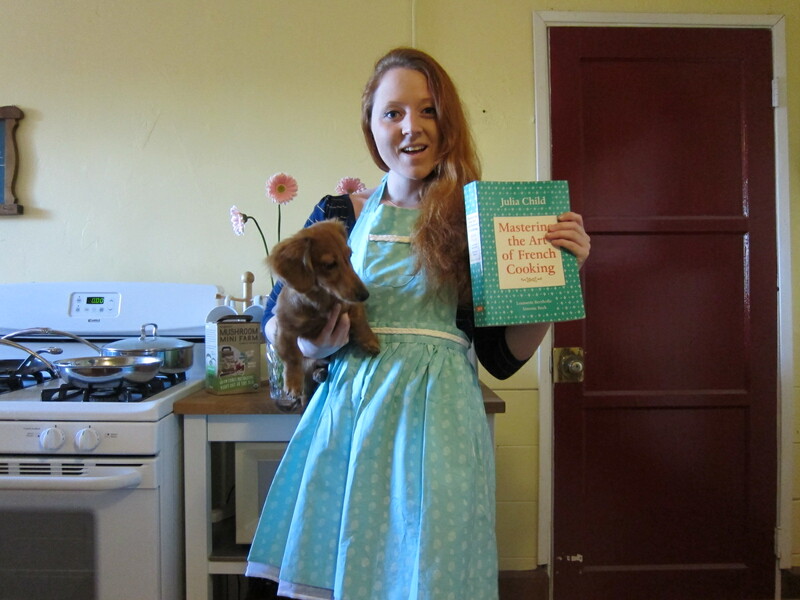 I will channel that into this project and these recipes, and hopefully we’ll have a rollicking good time together. I KNOW! I can’t take the cuteness either. I’m too lucky. Aaaaaaalright, onto the pièce de résistance… THE FOOD! 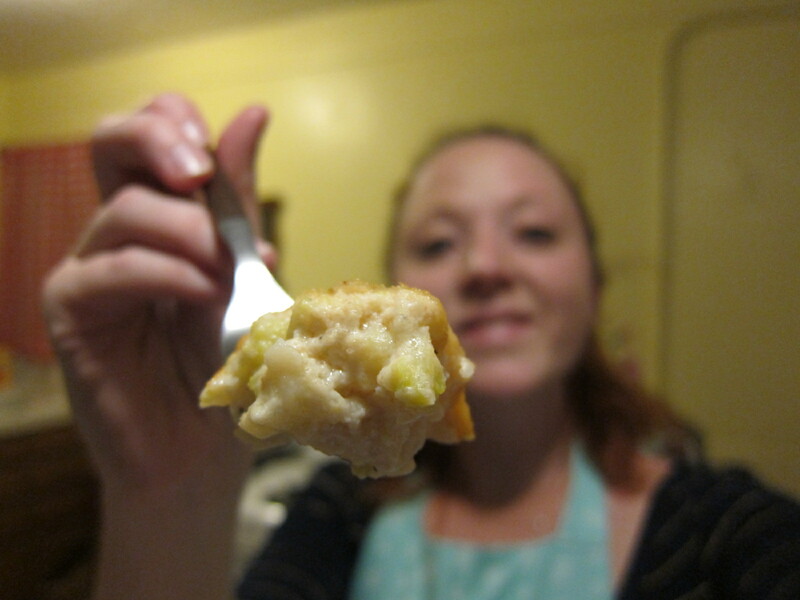 Julia says, “This is a purée of cooked cauliflower mixed with eggs, bread crumbs, cheese, and milk. 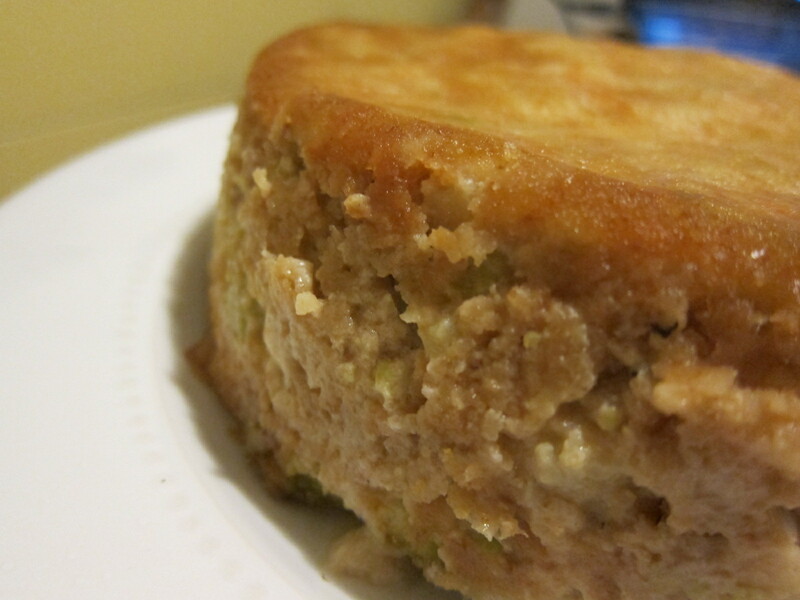 It is baked in a soufflé mold, unmolded, and surrounded with a sauce.” Sounds delicious, right? IT TOTALLY IS! This recipe has been 100% veganized for your cruelty-free eating pleasure. Bon appetit! 5. Scrape the onions into a medium mixing bowl. Stir in the seasonings, Daiya cheese, bread crumbs, and pureéd tofu. 8. 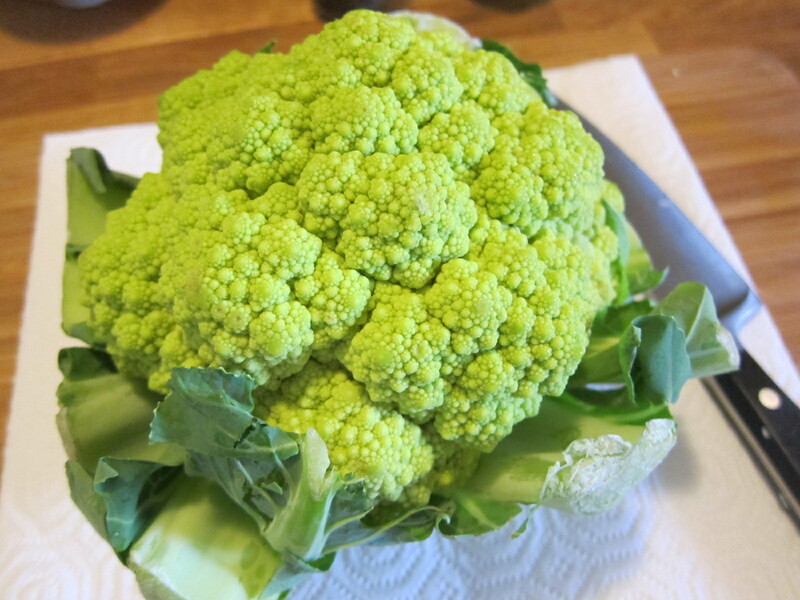 Fold boiled cauliflower into “custard” mixture. 9. 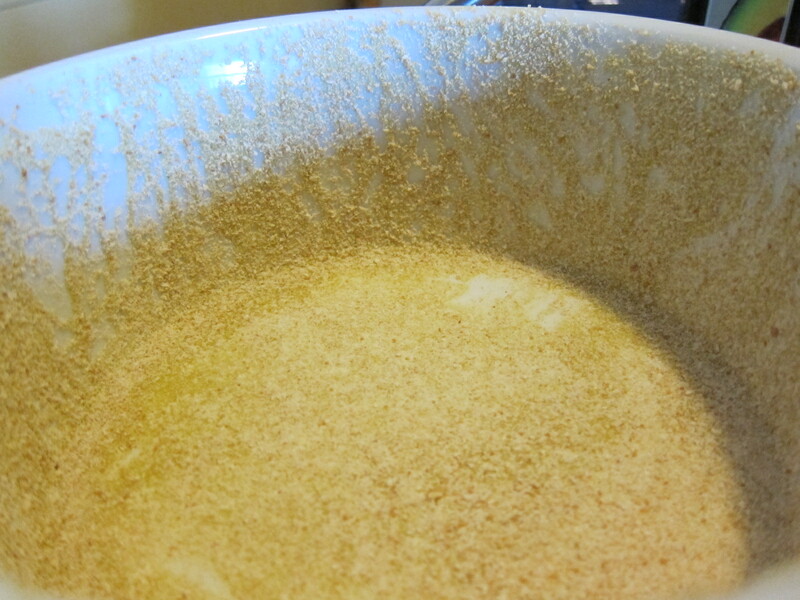 Transfer contents into the prepared soufflé dish. 10. Place soufflé dish into oven and bake for 60-75 minutes, or until a knife comes out semi-clean. 11. Remove from over and let cool for 30 minutes. 12. Run a knife around the inside edge of the dish, and quickly flip soufflé dish onto a serving plate. 13. Remove soufflé dish, and your cauliflower mold should be standing in one piece. 4. Uncover and simmer for 30 minutes. 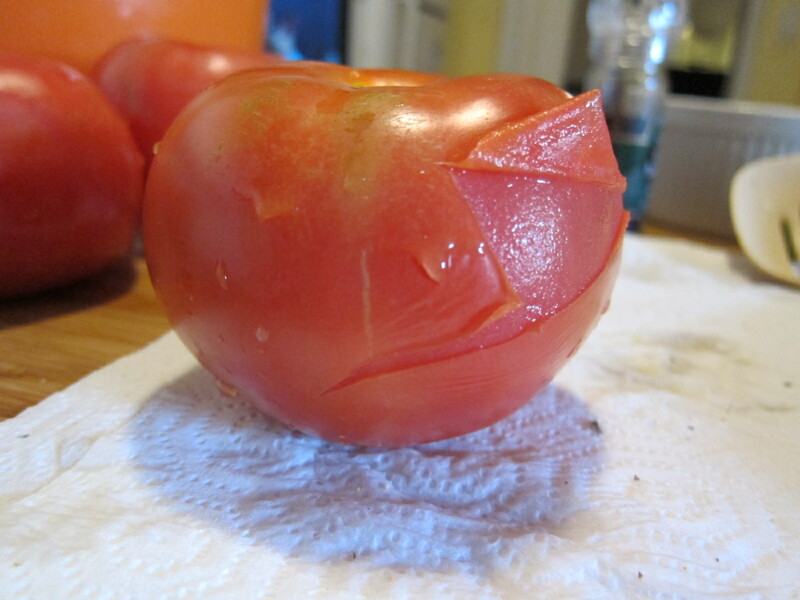 Add more water or tomato juice if necessary – do not let sauce be scorched or stick to the bottom of the pan. 5. 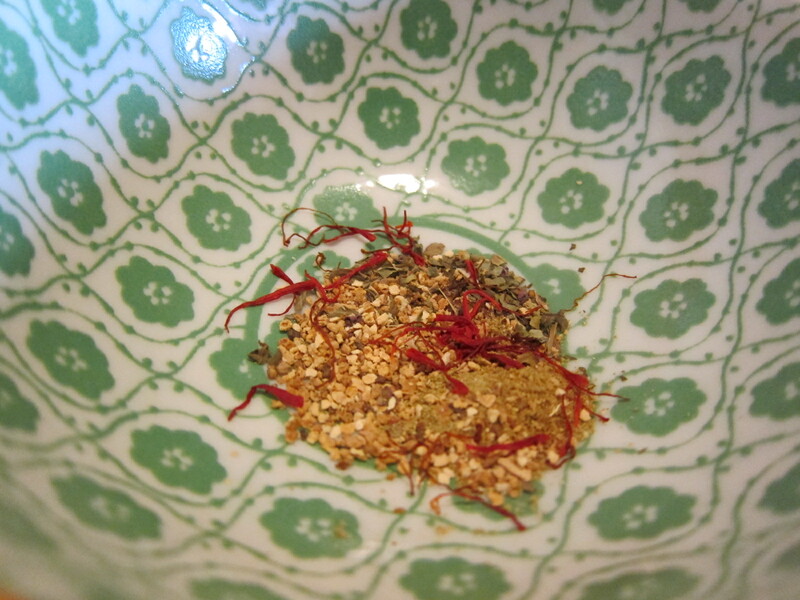 Remove herb bouquet, and salt and pepper to taste. Pour over slice of cauliflower mold to compliment. 2. 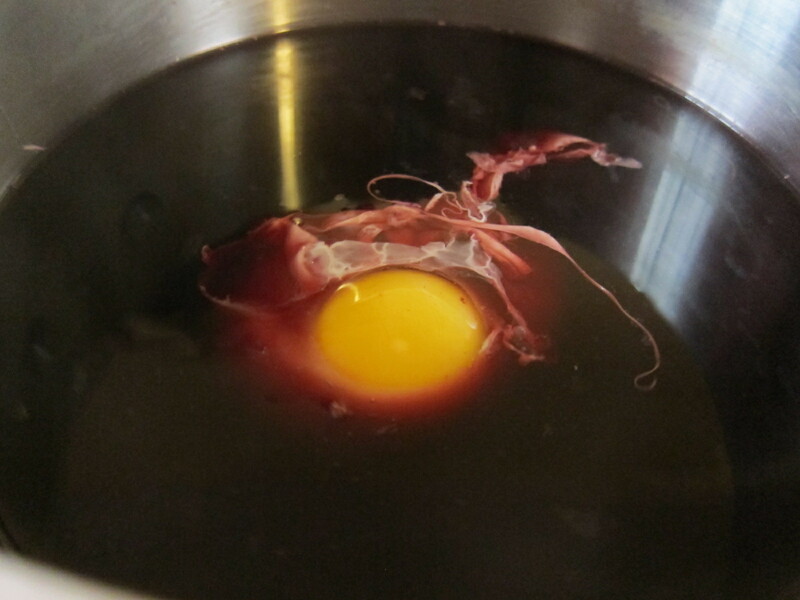 Remove the eggs to a dish, and add a bit of the poaching liquid to the bottom, and set eggs aside. 3. 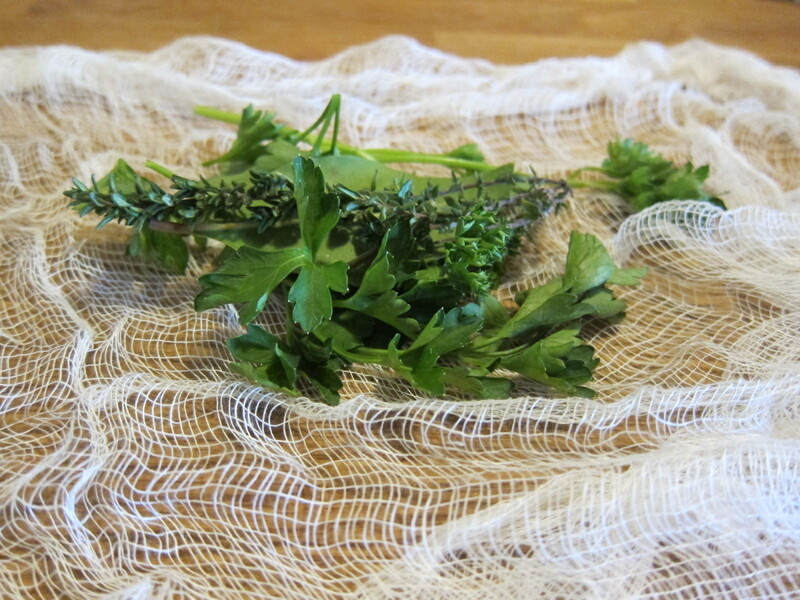 Tie the bay leaf, parsley, and thyme in a cheesecloth, and put in the wine/stock mixture. Then add garlic, scallions, and other seasonings. 4. Bring to a rapid boil for 5 minutes, and then remove herbs. 6. 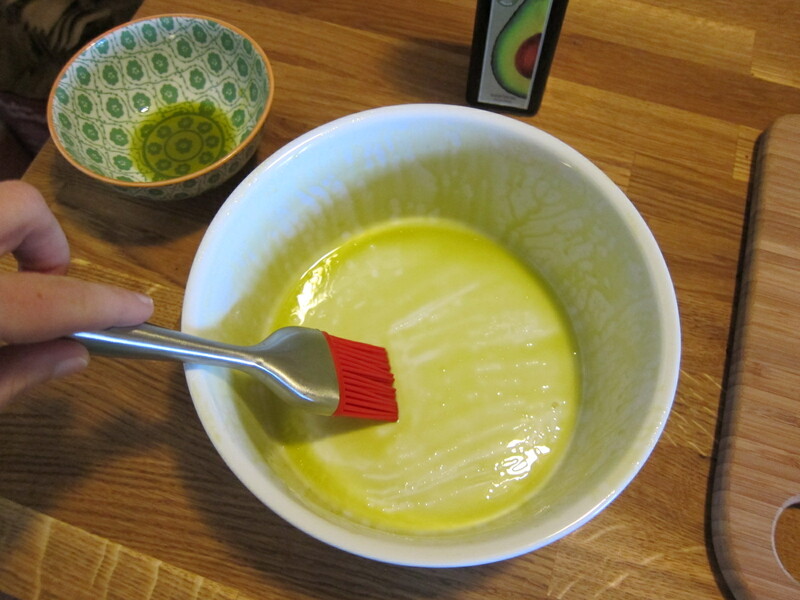 Beat into wine mixture with a whisk. 7. Boil for 30 seconds, and remove from heat. 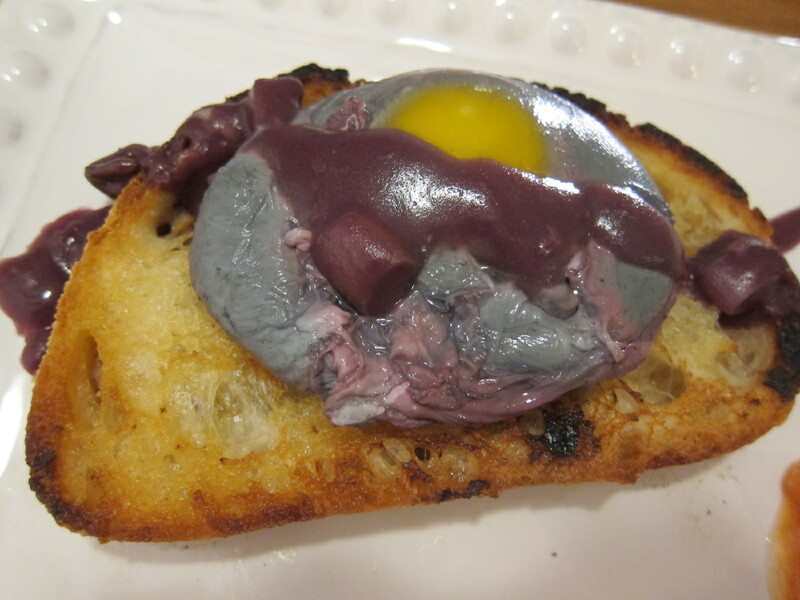 This purple sauce is your egg garnish. 8. Prepare 2 canapés (simply cut a 1 1/2 – 2 inch slice of bread, and toast in a pan of Earth Balance vegan butter until lightly browned and crispy. 9. 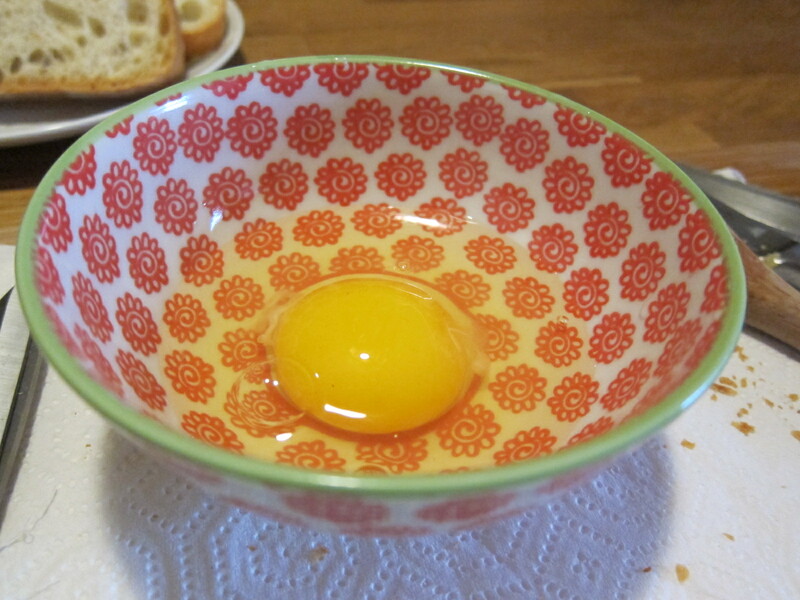 Gently reheat poached eggs by setting egg dish with poaching liquid over a pot of simmering water. 10. 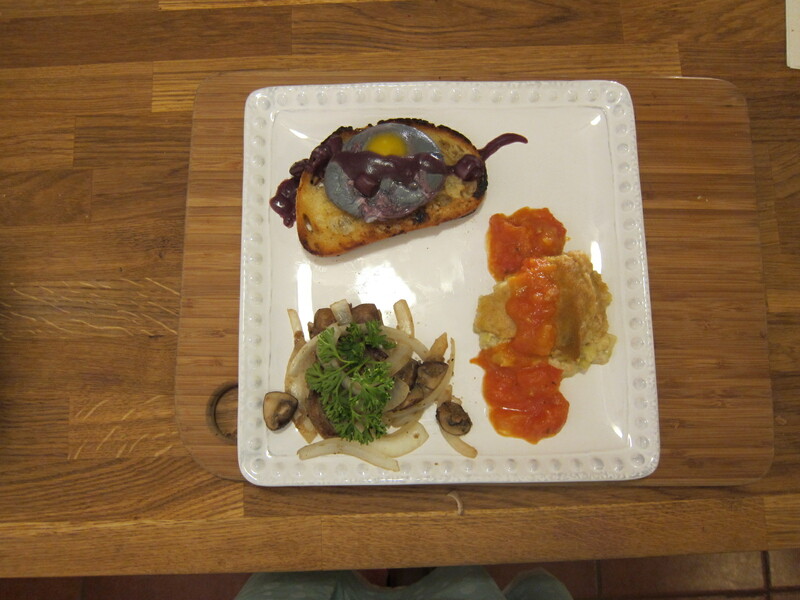 Place poached egg on canapés, and drizzle purple sauce over the top. Notes: Again, I realize this looks terribly disgusting, but I assure you it tasted DELIGHTFUL! Especially the sauce. 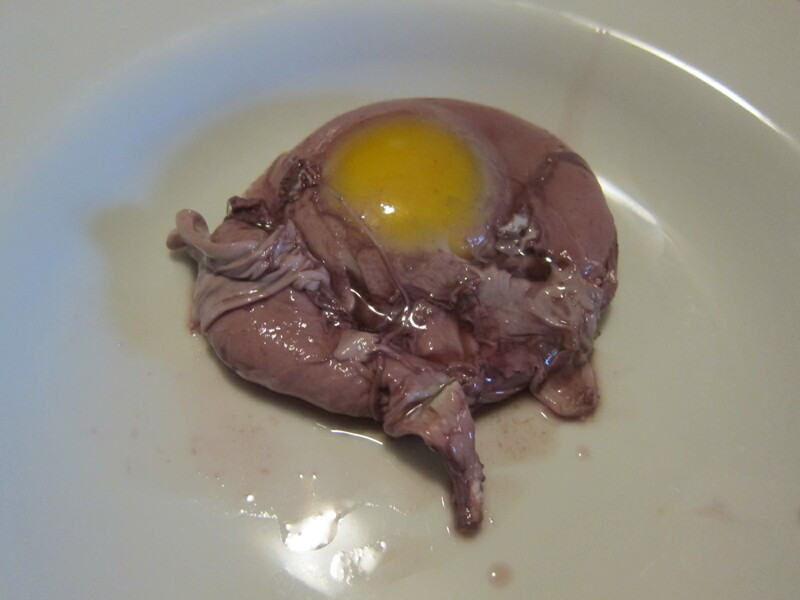 I would almost recommend poaching a regular egg, and just garnishing with the amazing sauce. NOMZ. I also tweaked the sauce recipe a bit because I was making a smaller batch, and I think it turned out GREAT. Everything except the egg itself is vegan. 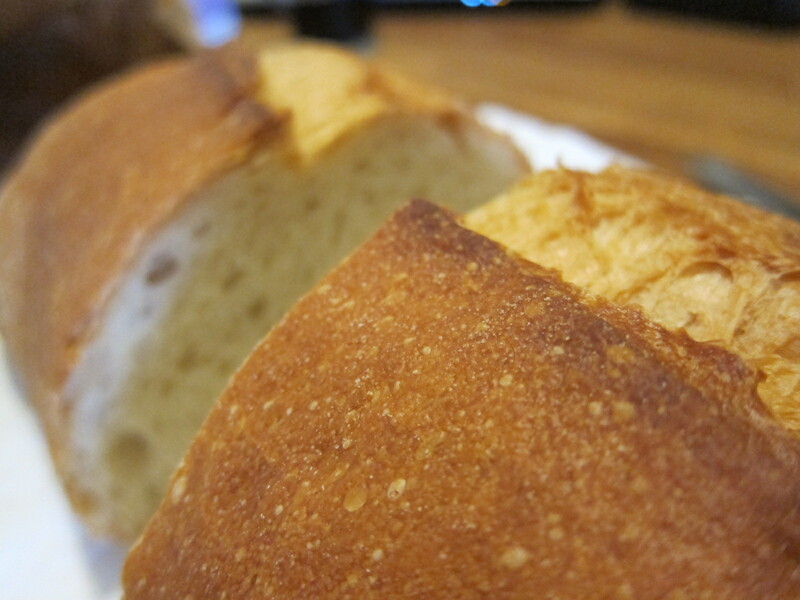 The simplest recipe, but Steve says it was his favorite. Who doesn’t love a good mushroom? I would have originally tried the shallots recommended in this recipe instead of onions, but I was going to try this other recipe, “White braised onions”, but after I started into the recipe I realized the onions were supposed to be whole, and I had already started chopping them… so, like any good chef I just threw ’em in something else! I am a kind of “fly by the seat of my pants” chef. Some people probably think that’s not a good habit, but I love it. Keeps the stress down, and the creativity up! WHEW! That was a lot of typing. But so worth it! I found myself taking a lot of liberties today, and tweaking the recipes for the modern world. These are simplified, but only in a good way. I mean, I figured you wouldn’t want to stick a plate, over a boiling pot of water, into an oven… I personally didn’t, so I found a way around it for you! I don’t want anything to think I’m being sacrilegious in tweaking these recipes – they all still boil down to the genius of Julia. However, it would be a pretty boring blog if I simply cooked them – I want to make them accessible, too! And also veg*n, of course. There you have it my friends, the very first venture into Mastering the Art of French Cooking by the one-and-only Julia Child. 5 recipes down, 519 to go. I am so, so honored to have you guys along for the ride. Please, share with the vegetarian or foodie in your life and help me spread the word. And if you have any feedback, or try any of the recipes, leave a comment and let me know!! I would love to hear from you. Alright, time for some puppy cuddles and tonight’s bottle of French wine. BON APPETIT, and THANKS FOR READING! I’m impressed. Best of luck! Thank you, that means a lot! I really like your blog as well. Thanks for reading this post! Great job! 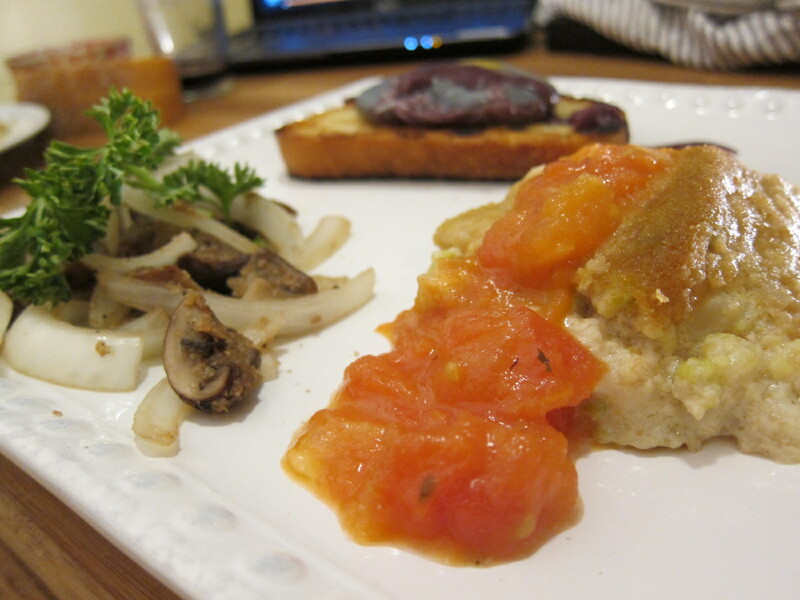 I really enjoyed reading your blog, and look forward to giving the recipes a try. I’m not much of a cook, so thanks for breaking the recipies down the way you did! Thanks Greg, that’s really helpful feedback! When I started to type out the recipes I was thinking, “… am I doing this right?” Haha. So happy to have you following along!! I’m glad to be along for the ride. If you can teach a culinarily challenged guy like me to create a good dish, and have a good time doing it, then consider yourself a miracle worker! Keep up the great work! I love this project! I have been trying to pick a cookbook to cook my way through, but admittedly they are all already vegetarian, kudos to you, this is super ambitious and I look forward to watching the project unfold. Thank you so much Jill, I appreciate it!! Do you have a blog too?